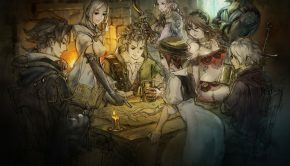 If Bravely Default was a love letter to Final Fantasy V (with its four crystals, four protagonists, and a retro job system), Octopath Traveler is a love letter to Final Fantasy VI, with its colorful cast of characters, each with their own background and reason for journeying across the game. 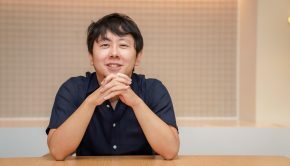 When composing the soundtrack to Bravely Default, Revo certainly took inspiration from classic JRPGs, but was equally interested in embedding his own sound, leading to memorable tracks like “The Snake That Devours the Horizon”. The same team development is now behind Octopath Traveler, but with newcomer Yasunori Nishiki in the composer’s seat. Unlike Revo, Nishiki seems to have been aiming straight for JRPG nostalgia when he composed Octopath Traveler. Was he successful? The soundtrack of Octopath Traveler is divided very traditionally, Final Fantasy VI-style; we have a set of character themes, area themes, and battle themes, culminating in an Ending Theme that brings together motifs from the game. The album tracklist follows that pattern rather than the order the tracks appear in the game (which may change depending on which characters the player chooses to play as). 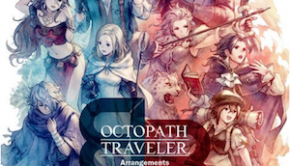 The album opens with “Octopath Traveler – Main Theme”, a spirited theme performed by a full orchestra. Already from this track, we get to hear two of Nishiki’s strengths that carry across the score: use of instrumentation (even in this track, each section of the orchestra gets a chance in the spotlight), and motif. First, Nishiki makes use of the full set of instruments at his disposal throughout the score. I was especially delighted at how prominently he used woodwinds of all types, and how he combined them. The very first character theme, “Ophilia, the Cleric”, has a solo flute playing a simple lyrical melody. While it picks up some strings, soft horns, and a harp as it continues, the flute stays front and center for the entire piece. “Therion, the Thief” uses an oboe (later paired with a flute) for its melody, accompanied by an acoustic guitar. The melody this time is less sweet and more melancholy, and the flute eventually takes over the melody by the end. Although both instruments are used for their strengths in their respective tracks, “The Flatlands” brings the oboe back for a brighter overworld theme, whereas “The Cliftlands” and “Melancholy” use the flute’s lower ranges for more pensive pieces. I also want to mention his gratuitous use of clarinet – something we don’t see nearly enough of on soundtracks. “Sunshade, City of Pleasures” has a fantastically sleazy melody played on a clarinet, with some bluesy guitar riffs in the background. “Despair” takes the same instrument and gives it a much more sorrowful melody – one of my favorites on the album. “Cobbleston, Nestled in the Hills” and “Gazing over the Great Plain” are a more pastoral uses of the instrument – the melodies reminds me of what I might expect of starting town themes in other JRPGS. “How Amusing!” pairs a clarinet with an oboe for a more mischievous melody. Regarding Nishiki’s second strength – it’s worth noting at this point that even the least notable melodies on this score are excellent. I opened by discussing instrumentation since, frankly, it’s easier to talk about. Describing a melody is difficult. Describing them in a score that is filled to the brim with beautiful, original, diverse melodies is nearly impossible. But each one of the melodies on the score are unique, and fit the intended themes wonderfully. “Cyrus, the Scholar” is a grand, sweeping waltz with full unison string sections and bursts of horns, while “Tressa, the Merchant” takes the same strings and uses them as a backdrop to a more unassuming harmonica solo (with a clarinet joining in for a merry B section). “Olberic, the Warrior” is one of my absolute favorite themes – the melody is stately and noble, accompanied by a snare to give it military flare – but it ends surprisingly, with a chromatic resolution that feels fresh, while still in keeping with the solemnity of the piece. One surprising instrument choice is the saxophone in “Alfyn, the Apothecary” – it’s the only time the sax makes an appearance on the album, but it brings a softer, mellow mood to the soundtrack. The last character theme is “H’aanit, the Hunter”, which relies on another new instrument – piano. The piece is actually a piano solo – while the instrument is used in other places on the score, this is the only time we are exposed to an unaccompanied piano, and it’s the only piece on the score that uses a single instrument. “The Trees Have Eyes”, much further down on the tracklist, echoes H’aanit’s theme, but with a stronger string section that takes over after a few lines of piano. The series of area and town themes that follow the character themes follow the same order – Ophelia, the first character whose theme is played, also sees the first area theme “The Frostlands”, and the first town theme “Flamesgrace”. The former uses a mix of piano, electronics, and pitched percussion for an appropriately frosty-sounding theme that slowly builds as it progresses, warming up as the piano jumps down a few octaves. “Flamesgrace”, meanwhile, picks up the pace with similar instrumentation and a more concrete melody, and a chord progression that calls “Ophelia, the Cleric” to mind, culminating in what is easily my favorite town theme on the score. “Primrose, the Dancer” has a Mediterranean vibe, lively and dance-like with plenty of guitar and a bright violin solo. “The Sunlands” is the area equivalent, which brings back the guitars with one of them taking the melody this time. The city theme is “Sunshade, City of Pleasures,” the aforementioned clarinet theme. Similarly, Olberic’s theme is matched in stateliness with the majestic Highlands theme; opening with a gentle harp pattern, the melody is played on a French horn. The piece is solemn, but also has an air of sadness to it; parts of it remind me of Final Fantasy VII’s overworld theme – not because of melody or instrumentation, but just in terms of mood. Several other places have noteworthy themes; “The Woodlands” opens unassumingly with a few pipes, a single line of piano, and light percussion before blossoming into a much more intricate piece with multiple moving lines supporting a heartfelt melody. “A Settlement in the Red Bluffs” is a jig-like track featuring a lively accordion and flute. “My Quiet Forest Home” uses a similar piano section to H’annit’s theme, but this time with a rich cello melody front and center; a similar theme recurs in “A Town Veiled in White”, which uses piano lines and choice percussion for a gentle (somewhat typical) snow town theme. “Orewell, Beneath the Crags” gives me Final Fantasy IX vibes with a series of recorders playing in harmony. As simple as the melody is – accompanied by a lone guitar – the track works. In addition to town and overworld themes, we are also treated to a series of dungeon themes – some better than others. “Dark Caverns” is the more expected dungeon track, using piano, strings, and horns for a mysterious sounding piece. It escalates nicely, breaking into a more complex hemiola towards the end of the loop. “Forbidding Corridors” has a bit more texture, mixing some spots of electronic sounds with harpsichord, piano, and heavy string sections; the synth sections of this one actually reminded me of Breath of the Wild. “Beneath the Surface” is the best of the three – it opens with harp and guitar, but quickly evolves with a soulful cello-and-flute melody. The juxtaposition of the two instruments – not often heard as a pair – makes for a wonderful duet. The piece also develops beautifully; after 1:30, the end of the loop is hinted at, but before returning straight to the beginning of the piece, the flute takes on the melody for a bit until the cello finally returns and begins the loop again. No JRPG would be complete without a series of battle themes – I can safely say that Nishiki does not disappoint on this front. The first battle theme is called “Battle I” (yes, we have an old-school naming scheme going on here), and is one of the best normal battle themes I’ve heard in years. It’s got a great melody and build – the section just before the loop, which features a series of rising and falling arpeggios, is a blast to listen to. While I often fault regular battle themes for having excellent sections towards the end of the loops, when most players grinding out levels will rarely hear them, because of the more intricate battle system in Octopath Traveler, the theme often plays in full, which I was thrilled to see. “Battle II” is not quite as fun, but still has a great melody, and brings in some electric guitar and trumpets for added festivity. Finally, “Battle III” takes the added instrumentation a step further, this time adding piano and some modulation for a grander effect. The decisive battle themes also contribute respectably to the score – “Decisive Battle I” opens with a somewhat traditional rhythm before settling on a series of piercing notes that recur throughout the piece. “Decisive Battle II” opens more dramatically than its predecessor, and uses more prominent piano. In general, it’s a step up from the first boss battle theme – over two minutes in, we hear a wild second ending that brings the whole piece together in a dazzling string finale. Before I talk about the last few battle themes, I wanted to mention a cool musical feature on the soundtrack that’s implemented in the game. Tracks 63-71 on the album are short recollections of character themes that play just before boss battles; each theme is pulled from a specific character, using thematic or instrumental elements drawn from that character’s theme. “For Truth” is a waltz like Cyrus’ theme; “For Treasure” uses the accompanying rhythm and harmonica of Tressa’s theme. “For Revenge” takes the Mediterranean bouzouki-like sounds from Primrose’s series of themes, while “For Freedom” uses Therion’s sorrowful flute. In the game, one of those tracks will precede any given boss theme, creating a thematically appropriate lead-in to the battle. “They Who Govern Reason” isn’t called “Decisive Battle III” for some reason, although it sits on the album where a third decisive battle would take place, and the music is clearly that of a boss battle theme. It is my favorite decisive battle theme on the album – for this one, Nishiki sets down his other sections and gives the strings their time to shine. The track features solos from every place in the string orchestra, playing against their respective sections. The only other type of instrument that’s especially prominent in the track is percussion, although even that takes a backseat once the solo instruments step forward. “Battle at Journey’s End” is fine. It’s fun, it’s got a nice melody, it feels like the kind of track you’d hear at the end of a game. I would have more words for it if it weren’t quickly followed by “The One They Call the Witch” and “Daughter of the Dark God”, two versions of what is clearly the actual final battle theme. It’s about as dramatic as I can imagine a final battle being; “The One They Call the Witch” opens with a stunning choral section accompanied by strings, organ, and heavy percussion. 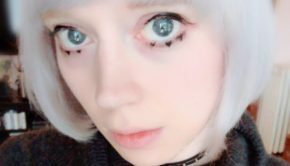 After an impressive forty five-second introduction, we are introduced to vocalist Yucca’s role on the soundtrack as she sings an operatic melody, alternating sections with the choir. “Daughter of the Dark God” takes the same vocal line and places it in a rock setting, with organ, drumset, and electric guitar. I’ve been debating which of the two versions is better with some of the other writers at VGMO – I prefer the choir-and-drums, but some of my co-writers prefer the organ and guitar. Regardless, this is an excellent final battle track – it’s bold and memorable, and I can’t stop listening to it. The only downside is that I keep forgetting to give the attention to “Battle at Journey’s End” that the track is probably due. For the game’s ending theme, Nishiki goes old-school again by putting together a beautiful compilation of themes from the game; opening with the Frostlands theme, it soon dives into an fast-paced version of “The Flatlands”, “The Coastlands”, and so on through each area theme in the order they appear on the soundtrack, all the way through “The Woodlands”. The track concludes with a high-energy rendition of the main theme, the first track on the album. Following the ending theme are eight mini-motifs, one for each of the characters, each a little over twenty seconds in length. As short as the motifs are, they make for nice listening; they each focus on a single instrument – most of them use the instrument featured in the respective character’s theme, although this isn’t the case with all of them. “Olberic Motif”, for example, is played on a cello, which hardly made an appearance on his theme. “Therion Motif” is my favorite of these, played tenderly on a solo oboe. 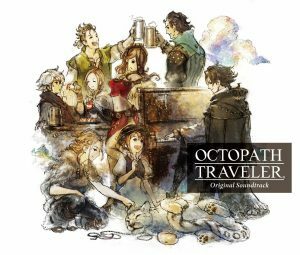 As much as I hate to draw comparisons in reviews, it is hard not to think of other soundtracks while listening to Octopath Traveler. The soundtrack is so clearly a result of generations of RPGs – the naming system, the carefully organized set of motifs, the battle and cave themes and comprehensive ending theme. That being said, Nishiki has owned this project – as many times as I thought about experiences playing earlier games in the Final Fantasy series while listening to this score, at no point did I find Octopath Traveler unoriginal or tired. On the contrary, it’s one of the most original scores I’ve heard in a long time. Nishiki seizes the tradition of JRPG music and takes control of it in his score; nearly every theme feels inspired, and nearly every track feels as though Nishiki had more ideas than he knew what to do with. Tracks never loop when you think they will, because there’s just one more section thrown in. Tracks that should be filler tracks are well-developed pieces; tracks that should be well-developed pieces go a step further than they need to. Unfortunately, there is no official US release at the moment, but the soundtrack is available for import and on other major storefronts internationally; our current collection of links can be found here. Posted on August 10, 2018 by Emily McMillan. Last modified on September 13, 2018. This really is a stand-out OST. I was especially impressed with how consistent the quality is across the board.